Diamondbacks' analyst Bob Brenly called Manny Machado "bush league"
On Tuesday night, both Bryce Harper and Manny Machado (two of MLB’s major free agent signings from this past offseason) made massive headlines. Harper homered in his former home of Washington for the Phillies, and flipped his bat across the Potomac as a message to Nats fans that had booed him throughout the evening. Machado somehow created even more controversy, even though his bat didn’t travel anywhere near as far as Harper’s. Immediately after the play, and before they had a chance to see the replay, Brenly said, accusingly, “did Machado go out of his way to put the bat at Murphy’s feet?” I put the question mark on that but it wasn’t a question. It was a conclusion. Brenly was certain that Machado was throwing his bat Murphy. The “bush league” comment came when they watched the replay. 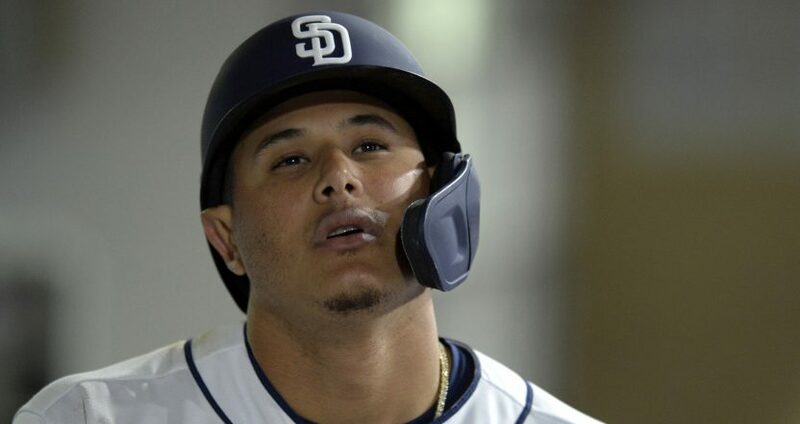 After the play was over and the next batter came to the plate, the camera focused on Machado in the dugout and Berthiaume offered a disgusted “300 million dollars!” while Brenly offered another “just a tired act.” They showed the replay again, and this time, from the center field angle, it was plainly obvious that the near-bump between Machado and Murphy was accidental (Machado reacted in surprise and pulled back when he realized he was near Murphy), yet Brenly called it as if it were on purpose, adding a disgusted “and just to make sure, tosses the bat near his feet” as if this were some premeditated crime. For starters, it seems like the D-Backs broadcasters were much more offended than the players. Murphy didn’t even react to the play, and it was Padres manager Andy Green that was ejected for arguing the interference call. Secondly, it’s not like Machado hurled the bat in Murphy’s direction a la Roger Clemens and Mike Piazza, he just gently laid it on the ground. Finally, by looking at this angle, Machado looks up to see where the ball is going and the flight of it as it comes down takes Murphy further up the line and away from the home plate area where he sat the bat down. However, this is also where Machado’s reputation works against him. Machado infamously kicked Jesus Aguilar while running to first base during last year’s postseason and has multiple moments in his career that stand out as questionable. Once you get a reputation as a dirty player, it can be a hard one to shake, no matter how egregious or innocuous any single incident may be. Brenly was a catcher for a long time in MLB before a lengthy career as a broadcaster and manager, so he certainly knows what he’s talking about, but calling this sequence of events “bush league” seems pretty harsh. Perhaps what this episode tells us is that with Machado’s history and massive new contract, he’s not exactly going to be a popular figure in rival cities this season.